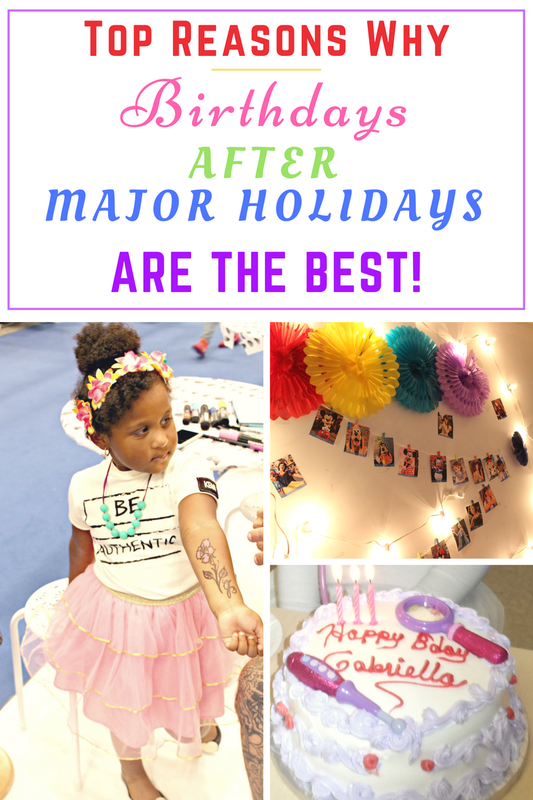 Top Reasons that Birthdays after Major Holidays are the BEST! If your child's birthday (or anyone rather) falls a few short weeks after Christmas or New years, Then you'll be glad to know that you can find holiday gifts (toys, gift sets, jewelry, etc.) for up to 90% off! That means Instead of spending $50 on 1 gift, you'll be spending less than $20 on more than 5 gifts. That's 5 gifts for that one special birthday guy or gal. OR 5 gifts for the 5 seperate birthday parties you are about to attend in the next month. 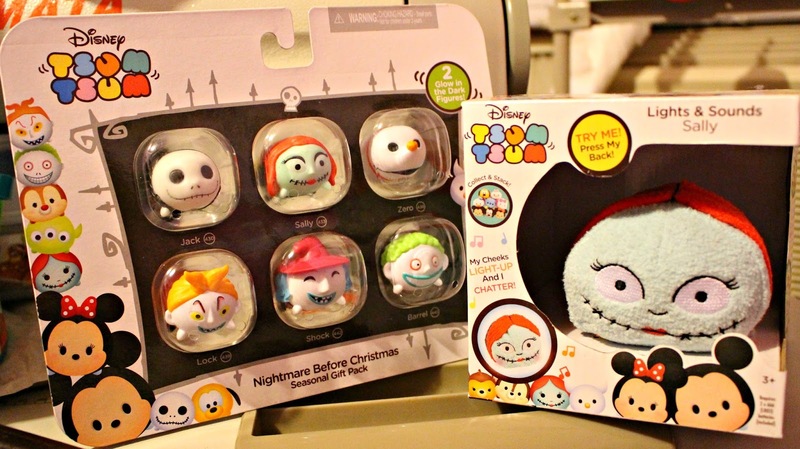 Back in November, I headed to Duane Reade with my friend at C'est La Vie and we found a BUNCH of Nightmare Before Christmas Tsum Tsum Toys, Art sets, and Motion Sensored Iron Man statues. Marked from $0.19 to $1.99 because they were considered Halloween items. These made for great holiday gifts in December and will make for nice raffle prizes at our upcoming birthday party. 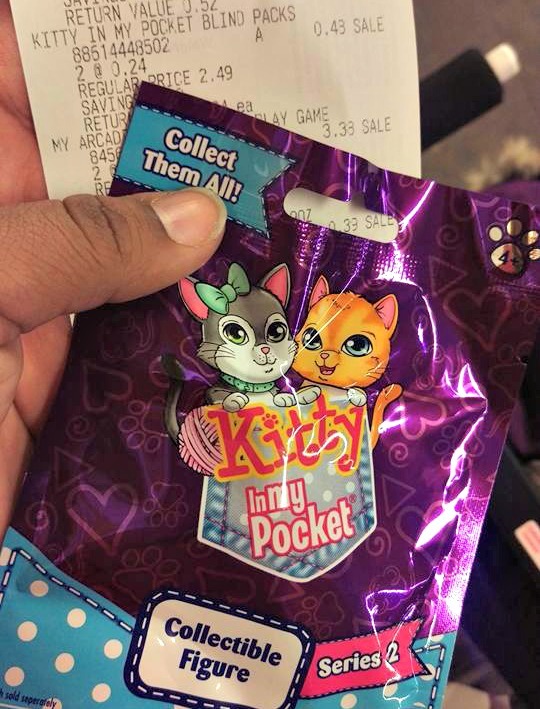 I went back yesterday to find some new holiday clearance and I found some TV Video game Plug ins for $1.60, Kitty in My pocket Blind bags for $0.24 each, Mine Craft toys for $0.20, and even some Misc. Christmas stuff for next year. The 2nd reason these birthdays, events and parties are awesome is because you'll find the snacks, food, drinks, and candy for the parties at up to 90% off clearance as well. 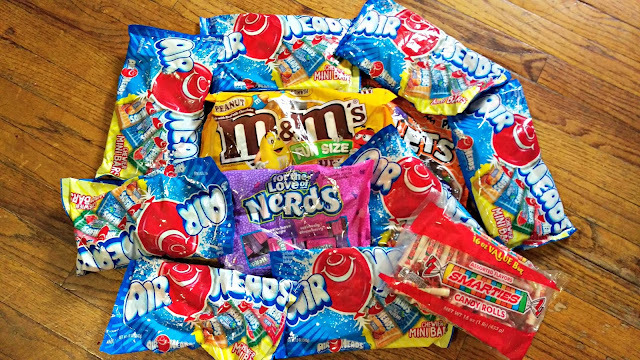 Yes, You'll have a BUNCH of heart shaped candy after Valentine's Day or a Bunch of Monster designed ones after Halloween, but who cares? Kids Love them either way! 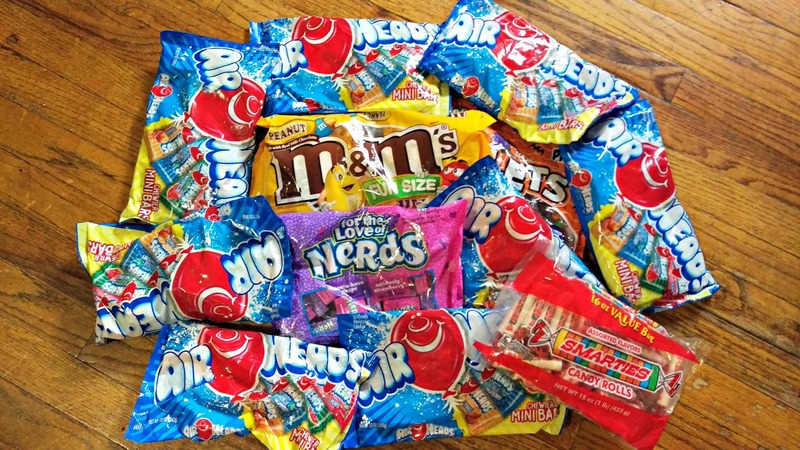 I actually found regular packaged fun sized candy at $0.24 - $0.52 each which included Airheads, Nerds, M&M's, Smarties, and Sixlets. I did mention Food and drinks too because some stores like Target carry themed potato chips or themed food packaging that they deem irrelevant after the holiday has passed meaning we get a whole lot for only a little $. I've found Fall themed gold fish crackers on clearance in the winter with expiration dates still a year out. Always check dates, but for the most part they all work. Every year, we do the same strategic planning and it always works out. 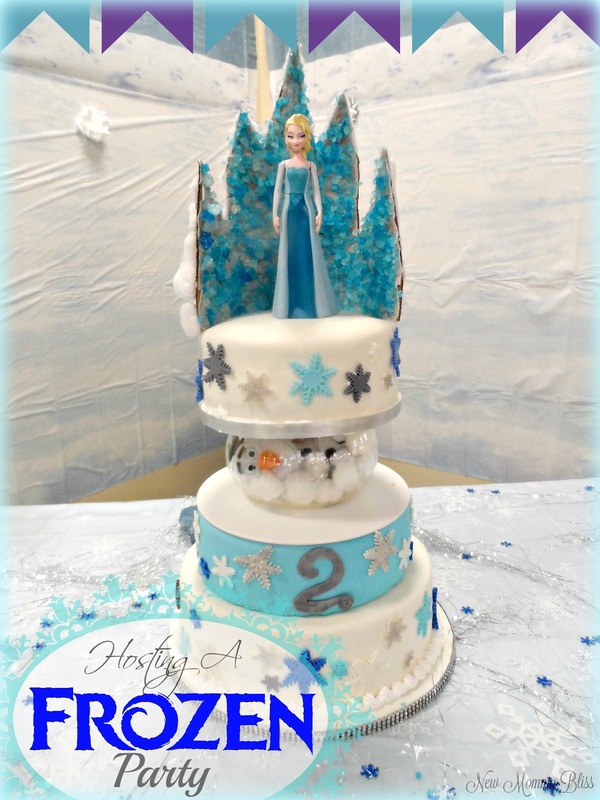 One of the BEST parties (financially) that we ever threw after the holidays was a FROZEN themed one which I was able to decorate for less than $50 thanks to Fake snow blankets, Blue and silver tree decorations, Silver tree tinsels, and everything else that can pass as Disney's FROZEN themed magic. Winter ONE-derlands and any other winter, cold or snow themed parties thrown in this time can get fully decorated with clearance items! Are you like us and Clearance shop for your parties? How much Money have you saved by doing so? Go on and catch some of the Clearance deals girl! It's all around you. My daughters birthday is 3 weeks after New Years but because most of the stuff is still Christmas like I don't bother, but after any major holiday, you can get some great discounted items. You aren't checking the right stores! It's also about grabbing something of the shelf and just asking for a price check. You never know what's on clearance according to the store. It's a great idea to stock up on things you can use when they are on sale. I will definitely be doing that for mine this year! There's nothing like getting a good deal after the holidays and I try to never pay full price for anything. Birthdays are always special and fun to celebrate. Never thought of this always thought crap birthday falls around a holiday. You attitude and ideas change all of that. You are so right! I am a Christmas baby. 3 days after Christmas. Anything I didn't get for CHristmas I can ask for again on my birthday and it is usually on sale! YEAH! Happy Birthday to your daughter! You've pointed out some great tips for Birthdays after holidays. I have two grand daughters that have Birthdays coming up and I'm trying to find a good deal on the things they want. I do grab stuff on sale after holidays... like Thanksgiving and Christmas. Then I use it next year! These are great reasons to why birthdays are the best around major holidays. My son's birthday is in December and I always got party items on clearance. I know I always saved at least half the cost of most items for his birthday party and got great deals on his birthday gifts. Thanks for sharing these great reasons. We have always bought toys on clearance for our nephews throughout the year and gifted them at birthdays and holidays. It saves a ton of money! I have found some amazing deals on Nightmare Before Christmas merchandise after Halloween. I am always looking for new pieces to add to my collection. I think it would be fun to have a birthday this time of the year. My son's birthday is a couple of days after new years and he just loves that his birthday is so close to the holidays, he feels like we spend weeks celebrating. I do love that you can always get things on clearance after Christmas. Love the fact that you posted this now! We are expecting our first in less than two weeks... total winter baby, right after the holidays! Never thought of seeing it in this perspective. That Frozen cake is amazing! My daughter has a birthday at the end of January and she loves having it this time of year. She says everyone is so festive and excited still. I love your take on this! Although my daughter is a teenager, she is a huge fan of Hello Kitty. She collects anything that has Hello Kitty on it. I've cleared out whole sections of Christmas clearance and tucked the items away for her May birthday. We're both happy with it! So, so true! My son has his birthday 2 weeks after Christmas, and I always get the best deals right after Christmas for his birthday gifts. I always find amazing deals after the holidays! It's the perfect time for shopping and to get gifts! My father's birthday is on Christmas so we only have one celebration for Christmas and his birthday. It saves money and time for preparation. My little guys are obsessed with tsum tsum, too! Looks like your adorable little one had a great time!